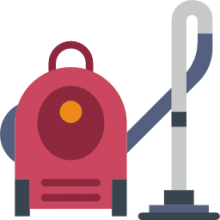 If you have installed a central vacuum system in your home, or RV, an automatic dustpan is an excellent cleanup accessory that you can add. 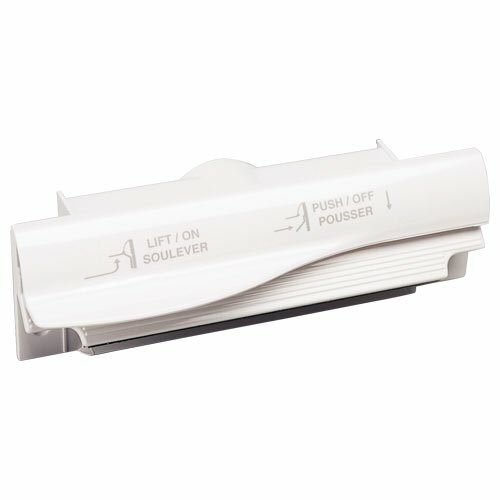 These 'vacpans' can be installed in bathrooms, kitchens and other areas of your house enabling you to quickly and easily sweep all sorts of debris into the inlet mouth, press the switch and have it all sucked away into the central vacuum system. It is important to note that manufacturers of these central vacuum automatic dust pans recommend that they be professionally installed. Some even modify them a bit to work with shop vacuums. Whether you are using it in conjunction with your central vacuum system, or are tweaking it to work with a woodworking shop vacuum, make sure you do your research prior to purchase, particularly since professional installation is recommended. ​That said, let's take a look at five of the best-selling automatic dustpans on the market today and see how they compare. The Cen-Tec Systems 38661 Central Vacuum dustpan is a solid option for those looking for a quick and efficient way to clean up areas such as kitchens or bathrooms without having to purchase any additional vacuum accessories. Users of the Cen-Tec Systems Central Vacuum automatic dustpan, have commented on the combination of cost-efficacy and functionality provided by the Cen-Tec vacuum system. Other users, however, have experienced some setup difficulties. In general, the 38661 vacuum dustpan, is an excellent option for those who want a more efficient way to clean up common areas in their house. One user of the Cen-Tec systems 38661 commented on how faster and easier cleanup of areas in his house that typically gather dust and dirt quickly has become by using the central vacuum dustpan. This user liked how the low profile front panel of the dustpan, which measures 2 ¼” inches in height, provides an efficient system that doesn’t draw attention. Another user however commented on how tricky installation can be for those who are not used to performing basic carpentry tasks. 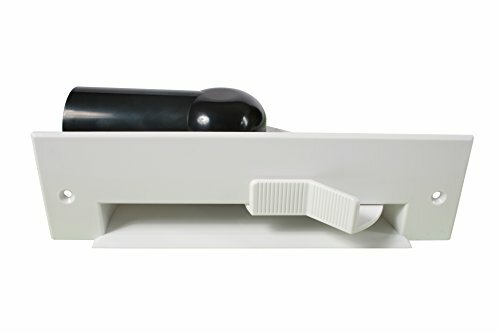 For most users, the 38661 automatic dustpan saves time when cleaning common areas of their house. The Electrolux 016927 Central Vacuum Automatic Dustpan is a dustpan system that integrates with an Electrolux central vacuum system to allow users to more quickly sweep debris into the dustpan. Users of the Electrolux Central Vacuum dustpan have praised the overall design and construction of the unit which allows for operation with no loss of suction. Other users, however, have commented on the difficulty of installation and the loud noise that some have experienced with the unit. Still, the Electrolux 016927 is an effective automatic dustpan system for those looking to more efficiently clean common areas. Multiple users on the Electrolux automatic dustpan have commented on the seal tightness achieved with professional installation thanks in large part to the high-quality PVC piping that is used in the system. However, some users recommend purchasing the flexible tubing kit for areas with tight angles. In addition, some users have commented on how loud the operation of the system can be. Still, the Electrolux Central Vacuum dustpan is a good option for those looking for an excellent addition to their Electrolux central vacuum system. The Nutone C1367W VacuSweep is an automatic dustpan system that provides good value and simple operation for those looking for a good accessory to their vacuum system. Although not as sophisticated in design as some of its competitors due to its reliance on plastic components, the NuTone vacuum sweep system provides users with an efficient and effective system at a lower price. However, some users have commented that the Nutone system does not last as long as some of its competitors due to its plastic construction. In general, the Nutone C1367W is a solid option for those looking to save money while getting a component that will take advantage of their central vacuum system. Many users of the C1367W vacuum system praised the unit for size its reliable operation and simple design. One user commented that even though the Nutone vacuum system is simple in its design, it still looks good in his kitchen and is an effective cleaning system for hardwood floors. Other users, however, have noticed that the system tends to break when hit with any type of force. In all, the Nutone C1367W is a nice addition for those with a central vacuum system in their house. The Honeywell 016925 Central Vacuum black automatic dustpan is an automatic defense system that operates with a toe touch switch and allows the user to quickly sweep dust and debris into the dustpan. Users of this system, have commented on the easy installation of the Honeywell vacuum dustpan and the reliability of its operation. The only negative comments on this system are due to the fact that the system is actually manufactured by another company. All in all, the 0 16925 black Central Vacuum dustpan is an excellent accessory for those users with a Honeywell vacuum system in their home or business. Even though the Honeywell Central Vacuum dustpan is intended to be installed by a professional, the easy to understand instructions included with the system have allowed many users to install the system themselves successfully. One user commented that he was able to install the system in less than two hours. The only negative feedback on the Honeywell Central Vacuum dustpan is due to the fact that is manufactured by a company called Plastiflex. All in all, the Honeywell 016925 is a solid option for those looking to take advantage of their central vacuum system. 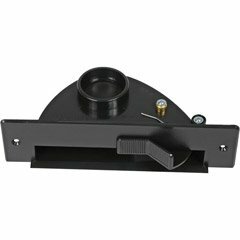 The Central Vacuum Automatic Dustpan Sweep Inlet Vacpan Vac dustpan is an automatic dustpan system that mounts underneath the cabinet kick plate and allows for quicker cleanup of common areas. Users of the Central Vacuum Automatic dustpan have praised the unit for its value, as it costs half of what most of its competitors cost. However, like other automatic dustpans, the Central Vacuum dustpan requires professional installation. All in all, the central vacuum dustpan is a good option for those looking for an easier way to perform basic cleaning of their house. One user of a central vacuum back pain vac dustpan commented on how he purchased this unit to replace an existing name brand and found that this dustpan provided comparable performance at less than half the price of the known brand. On the other hand, one user commented that the outlet on this unit is on top even though the cleaner is in the basement. Therefore, the operation of the unit will require more parts in order to complete the installation. All in all, this central vacuum automatic dustpan is an excellent option at lower price than many other comparable units. Automatic dust pans are pretty useful devices that are primarily considered accessories for central vacuum systems. Users write of having installed them in kitchens beneath cabinets so that they are not even visible. 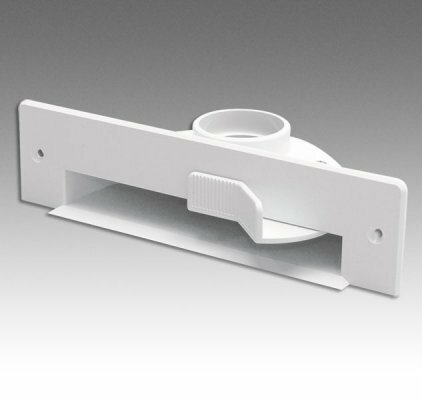 Some of the central vacuum automatic dust pans come with decorative faceplates so that they blend even more into your home's decor. That said, unless you are particularly savvy, and perhaps have installed the central vacuum system in your home yourself, it's recommended to get a professional to do the installation for you- these can be pretty complicated to integrate and you don't want to make a costly mistake. Overall, these are really handy devices, with many people installing them inside of recreational vehicles, as they let you sweep dust, dirt, mud and other debris right into the inlet and have it sucked away into the ether. If you are considering purchasing one of these central vacuum dust pan accessories, read our reviews on this page, check out the comparison table at the top, and also examine some of the individual product pages to see how other users have installed them.